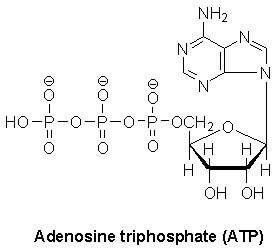 In biological systems, adenosine triphosphate (ATP) is the principal contributor of free energy necessary for anabolic reactions and is also a precursor of nucleic acids. Moreover, active transport of metabolites into cells is also driven by hydrolysis of ATP. So, a cell may grow, multiply and ultimately turn malignant when it has been transformed in such a manner that it produces excess ATP as compared with its usual metabolic demand. Mitochondria are known as the powerhouses of the cell. They are organelles that act like a digestive system that takes in nutrients, breaks them down, and creates energy for the cell in the form of adenosine triphospate (ATP). The process of creating cell energy is known as cellular respiration. Mitochondria generate more than 90% of the cell’s energy with aerobic respiration utilizing oxygen in a process called oxidative phosphorylation. The rest is generated at the cytoplasm of the cell through anaerobic respiration without oxygen in a process called glycolysis. The production of ATP from glucose has an approximately 13-fold higher yield during aerobic respiration compared to anaerobic respiration. Unlike the other organelles mitochondria contain their own DNA. It is hypothesized that mitochondria descended from bacteria and billion years ago they incorporated into the cytoplasm of larger eukaryotic cells in a symbiotic relationship. Cancer is all about uncontrolled cell division. It has been a common belief that only the nucleus which contain the genetic material DNA, initiates cell division. However a groundbreaking study (1) shows that it is actually the mitochondria which determine when and how fast the cell will divide. 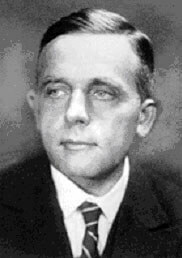 Otto Warburg - Recipient of two Nobel Prizes, postulated (6,7,8,9) that in contrast to healthy cells, tumor cells mainly generate ATP through glycolysis instead of oxidative phosphorylation in the mitochondria even in the presence of oxygen and that their mitochondria became dysfunctional. However recent evidence now supports that mitochondria are not dysfunctional in cancer cells and they contribute to the energy production like they do in normal cells. Cancer cells obviously produce significantly more energy in the form of ATP to support their increased metabolic needs and rapid proliferation. However the possibility that any factors causing excessive ATP production in the cells may lead to its malignant transformation is also overlooked by the mainstream cancer research. Total, Mitochondrial & Glycolytic ATP Production during Resting & Proliferation in EMA Tumor Cells (Moreno-Sanchez et al Energy metabolism in tumor cells). In the article published by Schmidt et al (2) the researchers compared the total, mitochondrial and glycolytic ATP production during the resting phase and proliferation phase of EMA tumor cells. They have observed that the total ATP production jumped from 495.7 units in resting phase to 726.2 units in proliferation phase. 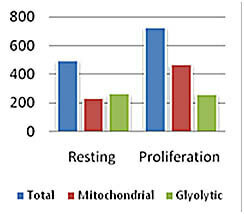 However glycolytic ATP production remained constant where 262.9 units were produced during resting phase compared to 260. 2 units during proliferation phase. All additional ATP required for increased demand at proliferation were supplied by mitochondria as the mitochondrial ATP jumped from 495.7 units in the resting phase to 726.2 units in the proliferation phase. 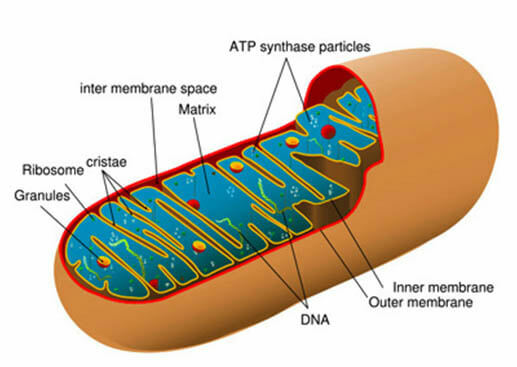 The excessive ATP required that actually triggered cell division was completely provided by the mitochondria alone. A clear indication that mitochondria are not dysfunctional in cancer cells but on the contrary their excessive ATP production triggers cell division. Guppy et al. (10) using an innovative system have measured the total ATP turnover of proliferating MCF-7 breast cancer cell line, the contributions to this turnover by oxidative and glycolytic ATP production and the contributions to the oxidative component by glucose, lactate, glutamine, palmitate and oleate. ATP production was 80% oxidative and 20% glycolytic. 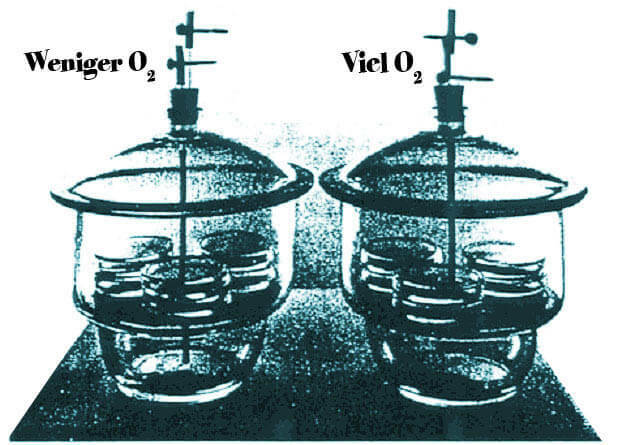 Contributions to the oxidative component were approx. 10% glucose, 14% glutamine, 7% palmitate, 4% oleate and 65% from unidenti®ed sources. The contribution by glucose (glycolysis and oxidation) to total ATP turnover was 28.8%, glutamine contributed 10.7% and glucose and glutamine combined contributed 40%. In the article (3, 4, 5) authors stated that “a cell may grow, multiply and ultimately turn malignant when it has been transformed in such a manner that it produces excess ATP as compared with its usual metabolic demand”. 2. Schmidt et al./ ATP-Producing and Consuming Processes of Ehrlich Mouse Ascites Tumor Cells in Proliferating and Resting Phases / Exp Cell Res. 1991 May;194(1):122-7. 6. OTTO WARBURG, Biochem. Zeitschrift, 152, 479, 1924. 7. OTTO WARBURG, Heavy Metals as prosthetic groups of enzymes, Clarendon Press, Oxford, 1949. 8. OTTO WARBURG, Wasserstoffübertragende Fermente, Verlag Werner Sänger, Berlin, 1948. 9. OTTO WARBURG, A. W. GEISSLER, and S. LORENZ: Über die letzte Ursache und die entfernten Ursachen des Krebses. 17. Mosbacher Kolloquium, April 1966. Verlag Springer, Heidelberg 1966.